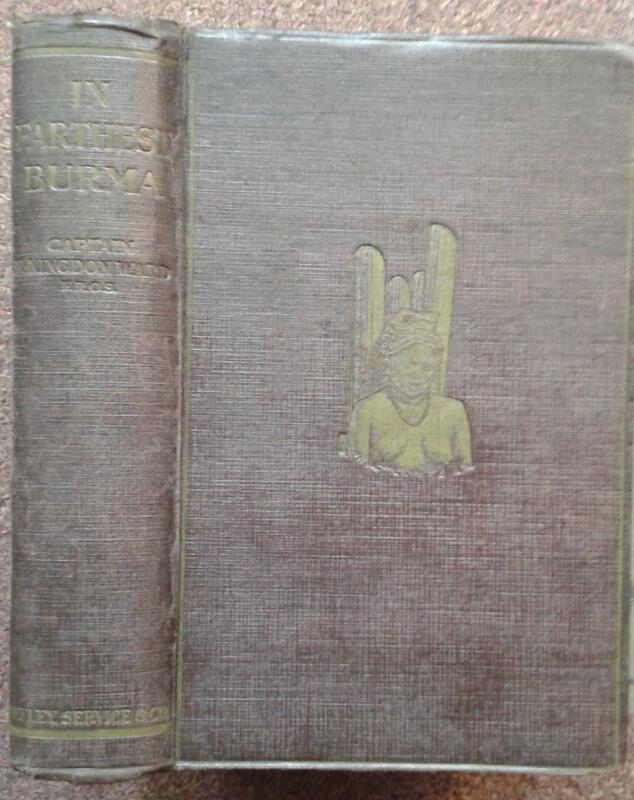 viaLibri ~ IN THE FARTHEST BURMA. THE RECORD OF AN ARDUOUS JOURNEY OF EXPLORATION AND RESEARCH THROUGH THE UNKNOWN FRONTIER TERRITORY OF BURMA AND TIBET. IN THE FARTHEST BURMA. THE RECORD OF AN ARDUOUS JOURNEY OF EXPLORATION AND RESEARCH THROUGH THE UNKNOWN FRONTIER TERRITORY OF BURMA AND TIBET. 1921 - London, Seeley, Service & Co. Limited, pp311 + (viii), black and white illustrations and maps, black cloth.